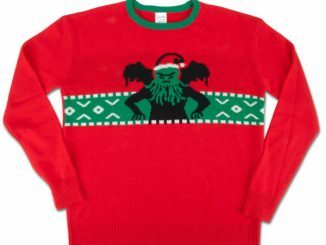 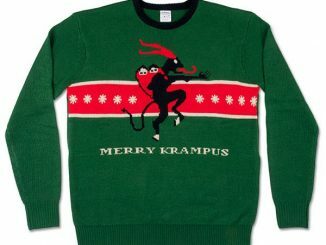 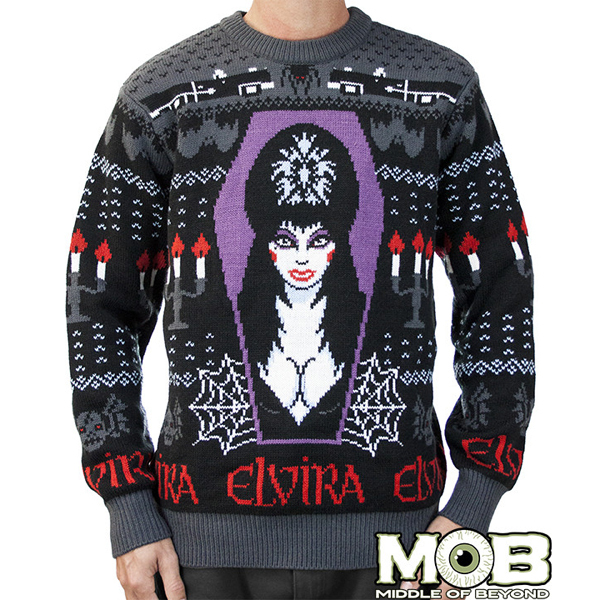 The Queen of Scream becomes the Queen of Ugly Christmas Sweaters with this Elvira Sweater. 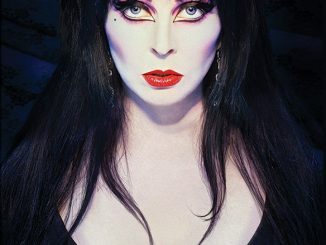 Remember when Elvira would end every episode of Movie Macabre by saying ‘Unpleasant dreams’? 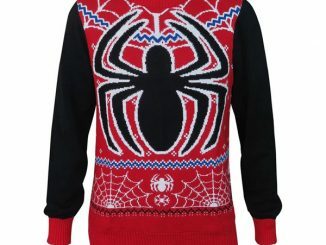 This sweater is what she was talking about. 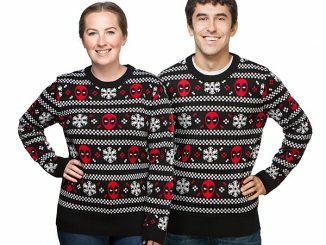 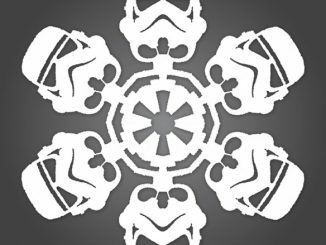 Made of 100% acrylic, this sweater brings together black, grey, pale blue, red, purple, and white for what has to be the least Christmasy Christmas sweater ever. 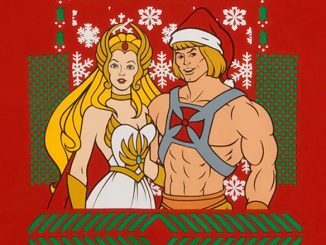 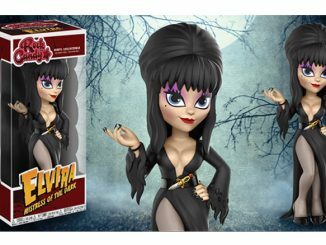 There’s no Santa or reindeer or snowflakes but you do get skulls with bat wings, candleabra, bats, Elvira’s iconic car, and the Mistress of the Dark herself, putting her twin talents front and center. 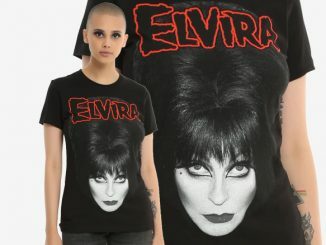 The Elvira Sweater is available for $84.99 at Middle of Beyond.